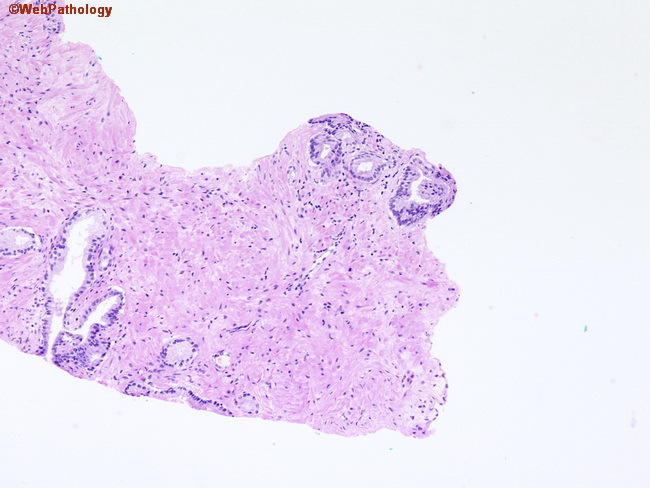 This biopsy shows a small focus of atypical glands at the end of a core. The lining epithelial cells show nuclear and nucleolar enlargement. Immunohistochemical staining with PIN4 cocktail (CK5/14, p63, and AMACR) showed absence of basal cells and positivity for AMACR. However, the possibility of high-grade PIN could not be definitively excluded. Indeed, the larger gland on the right has the profile of high-grade PIN. Design, Development and Hosting by Biznet Internet Services Inc.